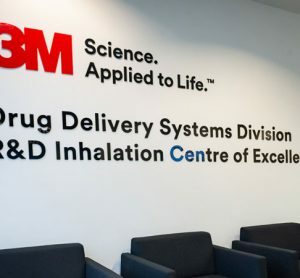 Targeted pulmonary drug delivery of antibiotics by inhalation aerosols can play significant roles in the treatment of cystic fibrosis (CF), chronic obstructive pulmonary disease (COPD) and in other pulmonary diseases where chronic airway infections exist. Direct administration to the lung as targeted pulmonary inhalation aerosol delivery is uniquely able to provide for high dose levels of drugs at the target site of action without systemic side effects. This review presents an overview of pulmonary inhalation aerosols, types of inhalation aerosols, aerosol formulation additives and present current research in the targeted pulmonary drug delivery of antibiotics for the treatment of pulmonary infections. Clinical trials of antibiotic inhalation aerosols are also discussed. Targeted delivery of drugs to the lung is highly desirable as the main advantages include reduced systemic side effects and higher dose levels directly at the site of drug action. This administration can be particularly useful for patients with chronic pulmonary infections and other pulmonary diseases, such as cystic fibrosis (CF), asthma or lung cancer1. In the case of antibiotic drugs, the slow development of new classes of antimicrobials for the treatment of resistant bacterial infections has necessitated the development of alternative strategies in delivery. Targeted pulmonary delivery of antibiotics has gained increasing attention for the treatment of pulmonary infections, particularly chronic pulmonary infections in CF patients. Aerosol antibiotic administration can produce higher local concentrations of a drug that is far above those that can be obtained with conventional dosing and higher con – centrations can be applied to take advantage of concentration-dependent killing effects of antibiotics2-6. In a recent report2,7-9, there were significant differences between aerosolised and intra – venous drug delivery of antibiotics, related to peak concentrations of serum and sputum. With aerosolised delivery of tobramycin, peak sputum concentrations were up to a maximum of 1,200 times higher than peak serum concentration, which is less than occurs with intravenous delivery. Delivery of effective local drug concentrations to the infection site via pulmonary inhalation aerosol decreases the risk of systemic side effects seen with long-term use of oral or intravenous antibiotic therapy10,11. Currently, there are two U.S. FDA-approved antibiotics for inhalation. Tobramycin solution for inhalation12 (TOBI® 300 mg/5 mL, Novatis pharmaceutical Corp.) is approved with indication that management of CF patients with P. aeruginosa and lyophilised aztreonam for inhalation13 (CAYSTON® 75mg/vial, Gilead Science Inc.) is monobactam antibacterial, indicated to improve repiratory symptoms in cystic fibrosis patients with P. aeruginosa. The development of aerosol antibiotics has been particularly important for treatment in chronic infections in patients with CF. In these patients, the loss of a hydrated pericellular epithelial surface in the lung results in defective mucociliary clearance and ultimately chronic infection, most notably because of P. aeruginosa8. Pulmonary inhalation aerosols can be divided into three principal categories: nebulisers, pressurised metered-dose inhalers (MDIs) and dry powder inhalers (DPIs), each class with its unique advantages and disadvantages14. Aerosolised tobramycin and aztreonam are approved as inhalation solutions by nebulisation. Most nebulised formulations fall into two categories: solutions containing a drug that is typically dissolved in saline (or occasionally in another solvent or cosolvent with alcohol) or drug suspensions containing a drug that is not soluble in saline or another solvent15-17. In MDIs, the drug is either suspended or dissolved in a propellant that is pressurised. Release of a metered volume of drug in propellant through a control valve causes a high velocity aerosol with expansion and evaporation of propellant. DPIs combine powder technology with device design in order to disperse dry particles as an aerosol in the patient’s inspiratory airflow18,19. The patient quickly breathes in the powder, which is dispersed as aerosolised particles without chemical propellants. Therefore, a balance between the design of an inhaler device, drug formulation and the inspiratory flow rate of patient is required20,21. Additives have an important role in the development of new formulations for pulmonary inhalation aerosols with modification of physicochemical properties of drug particles and their aerodynamic behaviour. There are few additives approved by the US FDA22 for pulmonary administration (Table 1). The additives in a formulation are generally in the range of 60–99 per cent (w/w) and may decrease the dose of active drug that can be administered. This may cause difficulties in the case of drugs such as antibiotics that are active at relatively high doses or some peptides and proteins with low pulmonary bioavailability23. Various antibiotics have been investigated for pulmonary inhalation aerosol for targeted drug delivery, including aminoglycoside, fluoroqunolone, glycopeptide, macrolide, monobactam and polypeptide. The chemical structures of antibiotics for targeted pulmonary inhalation aerosol are shown in Figure 1. The US FDA has approved inhalation aerosol formulations of amyloglycoside (tobramycin) and monobactam (aztreonam). 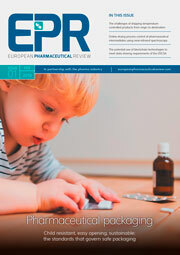 There is considerable research occurring on lab- and pilot-scale for the novel targeted pulmonary delivery formulations of antibiotics that provide an increase in lung deposition efficiency and an optimisation of drug release profile in the lung. Tobramycin (Figure 1A) solution for inhalation has been shown to have the potential limitation that the delivery of the drug from a nebuliser device can be inefficient i.e. ~ 88 per cent of the dose placed in the nebuliser can be lost during administration. Additionally, the inhaled dose by nebulised solutions is often limited by a drug’s solubility. Drug loss during exhalation and drug solution trapped within the nebuliser all account for the drug loss24. In 2003, Newhouse et al. evaluated the efficiency and reproducibility of a tobramycin Pulmosphere® formulation, by dry powder inhalation, in healthy volunteers25. They reported that 150 milligrams of tobramycin DPI could be enough to be delivered to the lung and the systemic circulation using DPI as with the nebulised tobramycin solution for inhalation in approximately one-tenth of the time. This was subsequently confirmed in a recent pharmacokinetic study by Geller et al.26 and Novartis pharmaceutical Corp. has been trying a clinical research study phase III to compare tobramycin DPI formulation with tobramycin solution for inhalation (TOBI) in patients with CF. Further improvements in tobramycin DPI delivery have been reported by Pilcer et al.27. In this study, the authors developed and evaluated a lipid-coated tobramycin dry powder formulation that had particularly high lung deposition. Pilcer et al.28 prepared tobramycin DPI formulations containing high drug concentrations with very low levels of additives by a spray dried method, and resulted in very high lung deposition with fine particle fraction (FPF) values of at least 68 and 53 per cent of the nominal dose for the lipidcoated and uncoated tobramycin formulations through scintigraphic and pharmacokinetic evaluations. Parlati et al.29 presented that spray dried powders of tobramycin containing sodium stearate (NaSt) and showed that the presence of the NaSt fatty acid (salt form) improves aerosolisation efficiency and stability of a tobramycin DPI formulation. Capreomycin (Figure 1C), another aminoghlycoside antibiotic for antiinfective/ anti-tuberculosis has been investigated for the treatment of multi-drug resistant tuberculosis through targeted pulmonary delivery of the DPI formulation30. They reported that particles for DPI manufactured from a capreomycin solution (50 per cent ethanol) containing 80 per cent capreomycin sulphate and 20 per cent l-leucine were evaluated through in vivo lung deposition test of guinea pigs using a custom-designed dry powder-dosing chamber and they found that lung deposition concentrations of capreomycin DPI in guinea pigs though inhalation administration was higher than that of intravenous administration. Amikacin (Figure 1B) inhale®31 solution is also being developed by collaboration with Novartis pharmaceutical Corp. and Bayer for treatment of gram negative pneumonia. This formulation can be possibly used as a hand-held ‘off-vent’ device for patients no longer requiring breathing assistance. Liposomal amikacin sulfate DPI has been developed with a sustained release effect in the lungs for treatment of CF. They reported that fine particles of lactose had a good effect on enhancement of lung deposition of liposomal dried powder formulation (LDPF) of amikacin sulfate32. LDPF of tobramycin33 and gentamicin34 were reported as an alternative choice of treatment of P. aeruginosa infection in the lungs associated with CF. The liposomally encapsulated drugs showed sustained and controlled release at the site of action; hence showed better control of the infection and bacterial killing. Recently, Adi et al.35 described preparation of co-spray dried DPI formulation combining doxycycline and ciprofloxacin (Figure 1F), effective fluoroquinolones antibiotics for gram-negative and gram-positive bacteria, and showed that co-spray dried microparticles of doxycycline and ciprofloxacin, were physically more stable than conventional single spray dried antibiotic and had improved aerodynamic properties of DPI formulations. Furthermore, the spray drying process did not affect the antibacterial activity of the drug. Adi et al.36 prepared antibiotic formulations containing ciprofloxacin and doxycline with PVA to control the release profile. All formulations had similar particle size distributions, thermal stability, acceptable aerosol performance and controlled release profiles. Tsifansky et al.37 reported combined formulation of ceftazidime and ciprofloxacin, containing dipalmitoylphosphatidylcholine (DPPC), albumin and lactose for the targeted pulmonary drug delivery system. Zhao et al.38 reported spherical particles of ciprofloxacin using combination of liquid antisolvent precipitation method and spray drying method for pulmonary inhalation aerosol with optimised aerodynamic properties. And Novartis, in collaboration with Bayer, have been developing Cipro Inhale®, a targeted DPI formulation of ciprofloxacin for CF infections using a hand-held DPI inhaler31. It has been reported that spray-freeze-dried liposomal ciprofloxacin powder for pulmonary inhalation aerosol showed a MMAD of 2.8 μm and FPF of 60.6 per cent, indicative of enhanced lung deposition39. Mpex Pharmceuticals has been investigating a solution for inhalation formulation of Levofloxacin (Figure 1D; MP-376, Phase III) with PARI eFlow technology40. This formulation is being developed as a treatment of CF, chronic respiratory infections due to P. aeruginosa, other serious bacterial pathogens and COPD with several clinical trials. Nektar Therapeutics (currently Novartis) developed a vancomycin (Figure 1G) pulmonary inhalation aerosol formulation by freeze-drying for targeting Gram-positive pneumonia, including methicillin-resistant Staphylococcus aureus (MRSA)31. Azithromycin (Figure 1I ) has been reported for use in patients with CF41. Hickey et al.42 described that LC® Plus, manufactured by PARI Respiratory Equipment, Inc., had potential as an optimised nebuliser for azithromycin solution with high emitted dose and proportion of fine particles by mass. Zhao et al.43 reported a DPI formulation of azithromycin as an alternative to nebuliser-based formulations. Recently, lyophilised aztreonam (Figure 1J) for inhalation was launched in the US (CAYSTON® 75mg/vial, Gilead Science Inc.), administrated by reconstitution with one millilitre of sterile diluents and using an Altera® nebulise13. De Boer et al.44-45 reported that colistin (Figure 1H) sulphate DPI formulations had potential as an alternative to nebulisation for patients with CF. Recently, several clinical trials of pulmonary inhalation aerosol for antibiotics46 have been ongoing worldwide. Some examples are listed in Table 2. Phase I pharmacokinetic-pharmaco – dynamic (PK-PD) studies are ongoing for formulations of ciprofloxacin (BAY Q3939, Bayer) and amikacin (ArikaceTM, Transave Inc.). ArikaceTM can be delivered with a small droplet size of aerosol to facilitate through nebulisation. A clinical trial is underway for sustainedrelease pulmonary inhalation aerosol of a liposomal formulation. Phase III clinical studies of tobramycin DPI formulation of Novartis are ongoing to evaluate efficacy, safety and tolerability as an alternative to tobramycin solution for inhalation by nebulisation. In addition to clinical studies in CF patients with lung infections, recent clinical trials of aerosolised antibiotics have involved non-CF patients that have lung infections such as pneumonia47. The renewed interest in old antibiotic drugs delivered by inhalation to treat pulmonary infections in a targeted manner has increased significantly in medical practice in recent years; the need and application will continue to increase due to the demonstrated advantages of targeted pulmonary drug delivery by inhaled aerosols and that new antibiotic drug entities are not being discovered as rapidly 48. Recent research in pulmonary inhalation aerosol delivery of antibiotics is still at the exploratory stage with the exception of some cases. At present, several studies focus on dried powder inhalers (DPIs) for high lung deposition of antibiotics directly to the airways where the infections reside. Targeted delivery of antibiotics with effective lung deposition drug concentrations to the infection site decreases the risk of systemic side effects which are seen with long-term use of oral or intravenous antibiotic therapy49. Pulmonary inhalation aerosol delivery of antibiotics has been demonstrated to have significant clinical potential in the targeted and effective treatment of pulmonary infections with significantly reduced side effects and reduced formation of drug-resistant bacteria due to enhanced targeting directly to the site of the infection. Chun-Woong Park received his MS in pharmaceutics at 2005 and PhD in Physical pharmacy at 2008 from Sungkyunkwan University, Republic of Korea. Currently, he is a postdoctoral visiting scholar at University of Kentucky College of Pharmacy, Department of Pharmaceutical science-Drug Development Division. His research focus is on advanced particle engineering design for dry powder inhalation aerosols. Don Hayes, Jr., MD, MS is an Assistant Professor of Pediatrics, Internal Medicine, and Surgery at the University of Kentucky College of Medicine. He is the Medical Director of the Advanced Lung Disease and Lung Transplant Programs at the University of Kentucky Medical Center. He graduated with honours from the University of Kentucky College of Medicine. He completed a combined Internal Medicine and Paediatrics residency at East Carolina University Brody School of Medicine. He then completed a combined Adult and Paediatric Pulmonary Fellowship at the University of Wisconsin School of Medicine and Public Health. He is a UNOS certified Transplant Pulmonologist. He is an active member of the American Thoracic Society, American College of Chest Physicians, and International Society for Heart and Lung Transplantation.